LOUISVILLE, Ky. — August 6, 2012 — (NYSE:GE) — To make the most out of a $800 million investment and to truly revitalize its business and products, GE is changing a lot of things at its Appliance Park manufacturing operation in Louisville, Ky. Not only are the products changing, but how and what is manufactured is changing too. Newly designed products and manufacturing processes and insourcing of a large amount of components are all part of the $150 million dishwasher investment. Relying on a new culture of continuous improvement and a collaborative work environment, fostered by Lean manufacturing principles, GE took employees from every discipline needed to design, build and operate the new lines and co-located them in one location so communication could be instantaneous and fluid. 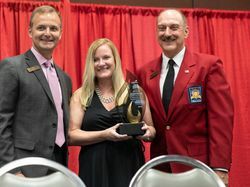 Each member of the team had a voice and a role—from engineering, to advanced manufacturing to the operators who assemble the products – all were on one team with a common goal – to improve the processes and products. Reduced the size of the new dishwasher lines by over 50 percent, compared to traditional assembly lines, which reduced production time, increased efficiency and improved quality. Shorter lines also allow problems to be identified and solved more quickly as well as improve communication. Significantly decreased transportation time within the plant by repositioning the new assembly lines in the back of the factory closer to staging areas for parts, such as dishwasher racks and tubs, and closer to where other parts come into the factory. One of the key features consumers look for in a dishwasher is capacity. 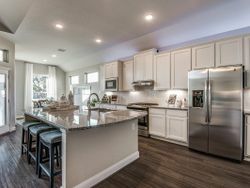 They want to pack as many dishes in one load as possible. 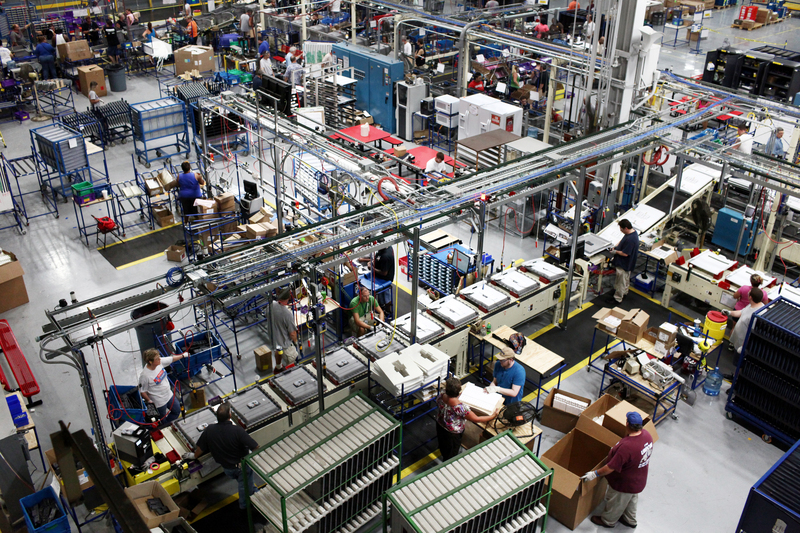 Now, their dishwashers will be loaded with more U.S. parts than ever before. 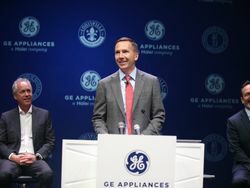 In fact, about 85 percent of the parts in GE new dishwashers will be made in the U.S. — including an increased number made at Appliance Park in Louisville, Ky., making its plastic injection molding facility the largest in Kentucky and the fourth largest in the U.S. In-house dishwasher rack production will increase from 40 to 100 percent in Louisville’s dishwasher factory. Production of stainless steel inner and outer doors will be moved from overseas to Louisville. Over 90 additional plastic custom parts/components will be made at Appliance Park for dishwashers. Ten more stamping processes will be added at Appliance Park to support dishwasher parts/components. In February of this year, GE Appliances opened its GeoSpring™ Hybrid Water Heater facility in Louisville, Ky., kicking off the $1 billion investment GE plans to make by 2014 to upgrade all its product lines and create new factories for products not previously made in the U.S., such as the GeoSpring Hybrid Water Heater, bottom-freezer refrigerators and frontload washing machines. Since January of 2012, GE has hired over 1,000 production workers and has hired nearly 500 engineers since planning for the new products started in 2009. 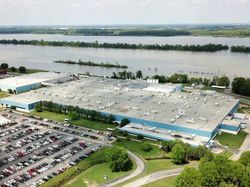 In addition to the hybrid water heaters and bottom-freezer refrigerators now being produced in Louisville, preparation is underway to open another plant to make frontload washing machines and matching dryers in early 2013. Extensive investment is being made in Louisville to enhance product offerings in top load washing machines and dishwashers. By 2014, GE will also be making upgrades in side-by-side refrigerators made in Bloomington, Ind., top freezers in Decatur, Ala., and cooking products made in Lafayette, Ga.
By using Lean manufacturing, GE reduced the size of this assembly line by over 50 percent versus their traditional manufacturing line, which reduces production time, increases productivity and improves quality.